These are the cleaning products I have tested and use, I have no problem recommending these products, some of which have affiliate programs and are linked to. You can clean many surfaces with simple and cheap products - Vinegar, or baking soda. Seventh Generation also makes a really good All-Purpose Cleaner. Try this Tub & Tile Cleaner (it has a fir scent) or here is a natural Unscented Tub & Tile Cleaner. 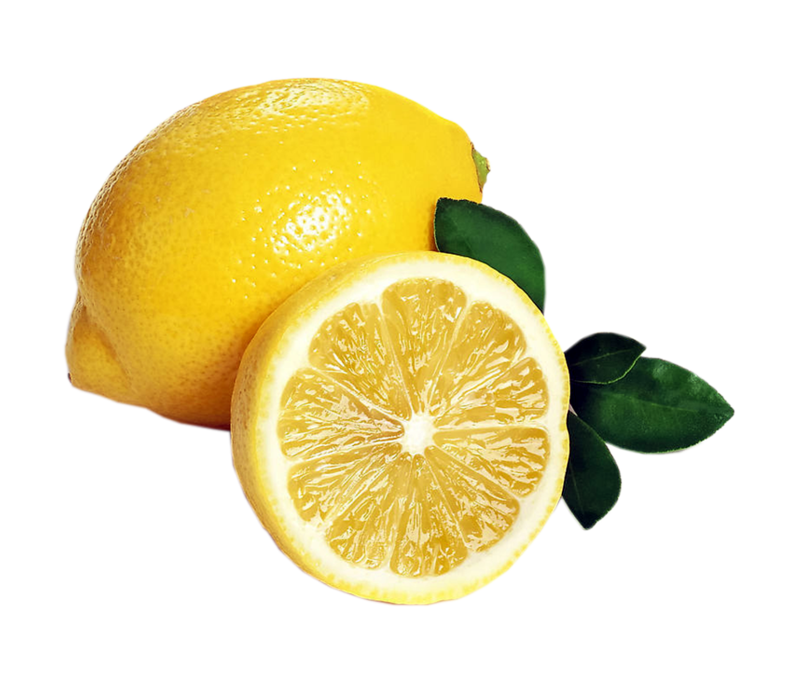 To clean the toilet try pouring vinegar or half a cup of lemon juice in the toilet bowl and letting it sit for 30 minutes. You have to clean really often for this to work. For tougher stains try Bon Ami Powder (unscented), or Seventh Generation toilet cleaner which has a fir scent. A 50/50 vinegar and water solution works great. Wipe with newspaper. Or, even simpler, water and a microfibre cloth! You can get these online. While lemon can remove hard-water marks, and baking soda with a scrubbing sponge can remove grime, a microfiber cloth will make it look shiny and new! For the kitchen sink, use olive oil on a soft cloth to buff. Baked on oil and food stains on a stainless steel kettle or cookie sheet can be removed with a paste of baking soda and hydrogen peroxide. Let it sit for a while, it will work wonders. The most liked natural metal cleaner is the one from ECOs. Most of the natural ones don't work but people report back that this one does. Seventh Generation Granite and Stone. 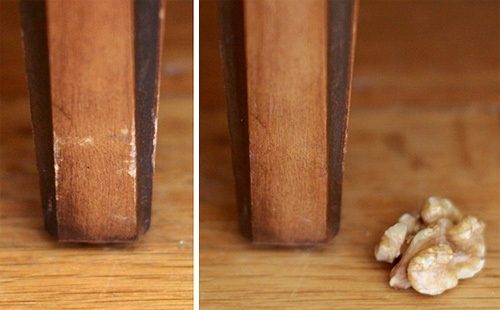 For wood furniture that has a bit of a sheen use two parts olive oil and one part lemon juice (spray on and wipe off). For a matte dark wood, like my rocking chair, I tried concentrated black tea (cooled to room temperature). It looked great but left the wood feeling slightly tacky. Walnuts also worked surprisingly well to remove scratches! (Works on wood floors too). A hair dryer can help to remove rings left by water. Follow with a polish. For stained laminate, clean with a mixture of baking soda and Hydrogen Peroxide. The same thing works really well on stained tile grout, i.e. around the toilet, or to remove mould from grout. I use the Magic Erasers which are non-toxic as long as you don't digest it. For that reason I don't use them on countertops. Be sure to use a non-toxic biodegradable brand like Seventh Generation and test for your own sensitivities. For cleaning large areas of painted walls I would dilute that dish soap. It also works well on wood floors. If you can tolerate essential oils then you could use a spray solution like Aura Cacia or cotton balls soaked in essential oils and hidden (under the bathroom sink, for example). If you want to use essential oils and a diffuser (use a water-free one), the most tolerable options are usually vanilla, chocolate and cocoa. Citrus also tends to be on the more tolerable side as well as peppermint. I've been trying various natural air fresheners: The popular Pinterest post of vanilla, rosemary and lemon (simmered) was OK, not as great as I hoped (grate the lemon rind before adding it to get the lemon scent out). I tried simmering black tea with spices (cloves, cinnamon, nutmeg) as well, which worked a little bit. If you cannot tolerate those but need to have your house smelling good for an event or showing you can brew coffee or bake cookies in the oven at that time. For some people, burning sage or sweetgrass maybe pleasant and tolerable. Disclosure: Some of the links to products on this page go through my affiliate partners. Whether a product has an affiliate program or not does not influence by chose of recommendations. If you are going to purchase any of the items listed here and if you found my site’s content useful, please consider purchasing through my links - it will not cost you any more. Thanks! The use of natural cleaning products is certainly becoming the most preferred cleaning alternative these days. The best natural cleaning products are safe and odorless because they do not have harmful toxins in them. These are some really good tips which I might have to try. I have found that odor elimination can be a difficult task but there are some good ways to get the smell gone. You can try enzyme cleaners products available in the market. These cleaning products are able to remove stains found on your mattress and it has been proven effective to break down any particles. For cleaning my toilet I always use white vinegar and baking soda. Just let it fizz and sit for about 20 minutes and brush and flush. I have MCS and had to learn how to stay away from toxins fast and keep my home safe before I would get worse and have to live outside where it had just fresh air. How would you suggest to clean solid wood floors that are first finished in a wax then rubio monocoat oil? We've had some continuing construction in our house after having our solid wood floors were installed and now the floors are a wreck. I've vacuumed several times and was wondering if there's a concoction I can make myself to help smooth the surface?